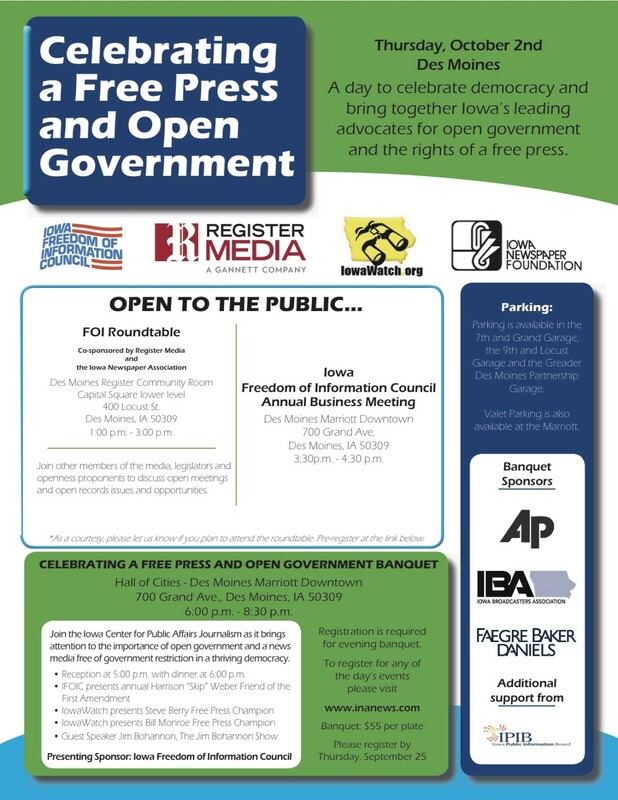 IowaWatch executive director and editor Lyle Muller spoke on WHO radio, 1040 AM-Des Moines, on Sept. 5 about the work IowaWatch is doing and the upcoming Celebrating a Free Press and Open Government Banquet. The banquet is to be held in Des Moines on Oct. 2 in Des Moines. The guest speaker will be noted national broadcast talk show host Jim Bohannon. IowaWatch Connection host Jeff Stein, doing some fill-in duty at WHO radio last week, is the interviewer.